Handmade Houseplants offers a no-water necessary alternative: plants made from paper! 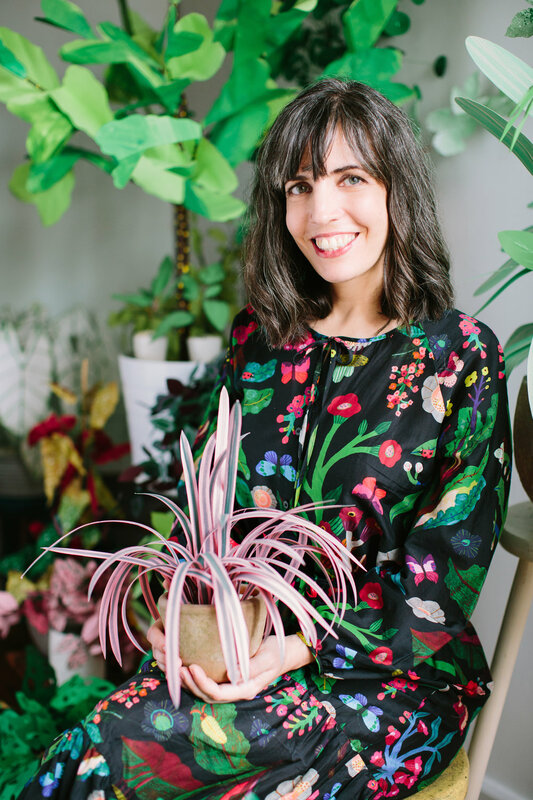 This stylish guide includes step-by-step instructions for 30 of the most popular houseplants, from monstera and peperomia to fiddle leaf fig and philodendron. Additional projects show how to use paper plants for home décor, wall art, holiday decorations, gift giving, and more. The projects are simple enough to be made in few hours and the required materials are affordable and readily available. Packed with colorful photos and filled with inspiration, Handmade Houseplants shows how paper plants can provide a modern, light-hearted touch to a well-designed home. Hi! I'm Corrie beth Hogg, I am a lifelong artist, crafter, designer, and DIY aficionado. Some of my favorite mediums include paper mâché, paper crafting, soft sculpture, quilting, stop motion animation, painting and woodworking....I like it all! Follow me on Instagram to see my latest creations. or, see more of my work here. My projects have been seen in magazines such as: Yen, Idees A Faire, Flow, Rum Hemma, EH&I, Wallpaper*, Make It Yourself, and blogs such as: Gardenista, Gestalten, and The House That Lars Built . Currently, I am the Art and Craft Director at David Stark Design. For over 14 years, my collaborations with David have been seen in magazines and newspapers such as: Martha Stewart Living, Martha Stewart Weddings, Domino, InStyle, The New York Times, House Beautiful, Elle Decor, Anthology and more. On television, my projects with him have been featured on TODAY show, Live From The Couch, Martha and E! News. I ideate, craft, and photograph DIY blog posts on David Stark’s behalf for: Design Sponge, Remodelista, Lonny, Apartment Therapy, Martha Stewart Weddings, Martha Stewart Living, Vogue, and more. Originally from Mississippi, I now call Brooklyn my home. When I’m not elbow deep in one craft or another, I can be found hiking, biking, studying wild edible plants, playing guitar and singing country music. Christine Han is a New York City-based commercial and editorial photographer specializing in food culture, still life, portraits, and lifestyle. Her approach is relaxed and collaborative, and she excels in making natural, authentic imagery that brings out the inherent beauty in every subject. You can see what she's up to on Instagram. Corrie in her studio, 2018. photo by Christine Han.